It is an effective detoxification formulation that helps to cleanse the body of accumulated harmful toxins which can have a negative effect on the body. Detoxification should be done regularly to improve the functioning of vital organs like the liver and kidneys and to overcome chronic diseases. 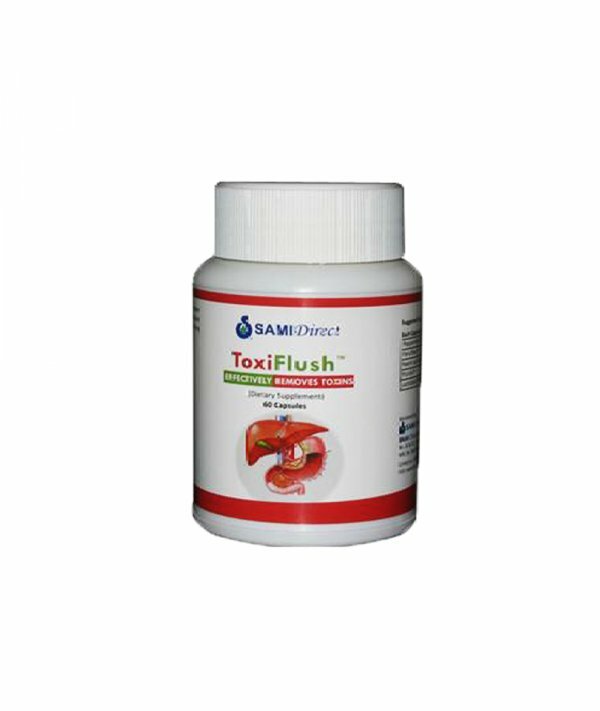 ToxiFlush™ provides comprehensive support to the detoxification process. Composition - ToxiFlush™ is a good Combination of Ingredients that helps maintain digestive tract health, and it contains extracts from silybum marianum, Licorice, Peppermint oil, Picroliv® FenuFibers® and Sabinsa's LactoSpore®. Tips & suggestions:- For best results increase dietary fibre in your meal & optimal quantity of warm water. Have a glass of warm water with ½ lemon squeezed into it next morning. Avoid exposure to cold breeze, drinking cold water, heavy foods, over exercise & stress.